Camille Stilson Williams is an assistant city attorney and former professor and law school administrative director. She is a member of The Church of Jesus Christ of Latter-day Saints. Williams received her bachelor’s degree in English, her master’s degree in English language, and her Juris Doctor degree from Brigham Young University. For two years she worked at BYU as the administrative director of the Marriage and Family Law Research Project at the J. Reuben Clark Law School. She taught family law for undergraduates in the School of Family Life as well as other courses. She began working part time in the Provo City Attorney’s Office in the fall of 2003 and became a full-time employee in 2006. In the Attorney’s Office, Williams spends part of her time prosecuting misdemeanors, and the rest working on issues related to economic development, redevelopment, employment law, disability law, and the First Amendment law. 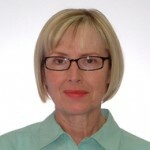 She is the author of several articles about abortion in national publications including “Thoughts of a Pro- Life Feminist” in The World & I, and chapters in books such as “The Silent Subject: Reflections on the Unborn in American Culture (1996), and is the author of several law review articles about family law subjects. She has been actively pro-life for many years, serving as President of Utah Citizens Against Abortion. Williams and her husband, Richard, are the parents of five children. This page was last edited on 15 January 2015, at 12:35.